Gion is a small neighborhood, belonging to the district of Higashiyama in the eastern part of Kyoto, famous as "the neighborhood of Geishas". Gion was born in the Middle Ages as an area to stay for pilgrims traveling to the nearby Yasaka Shrine, over the years it has become a district of entertainment, especially for geishas. Although in recent years the figure of the geisha (or, more precisely, geiko, as geishas are called in Kyoto) in Japan has become rarer and rarer, the district of Gion still preserves this peculiarity. 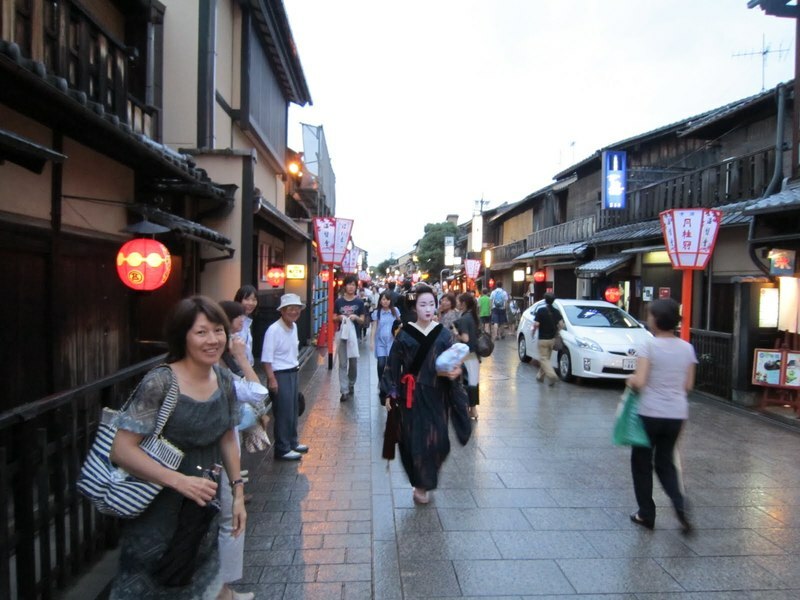 It is not uncommon to find geishas around the neighborhood, which are often assaulted by the cameras of the tourists. However, they often aren't true geishas but only ordinary people "disguised" as geishas. With regard to this topic, there are in fact places that are specialized to "transform" tourists into a real geisha, if you are interested in this kind of experience, you can have a look for example at one of these websites: Aya Maiko Experience or MAICA Maiko Style Experience. 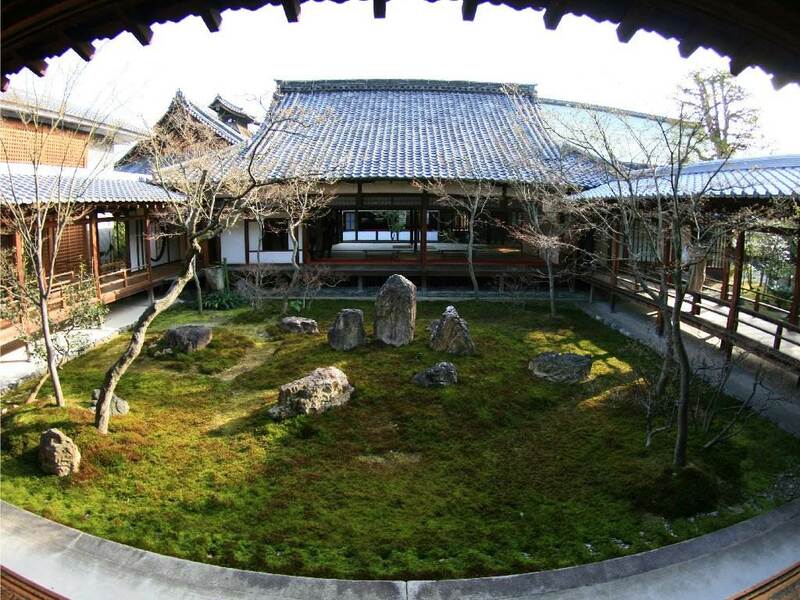 The architecture of the various buildings of the neighborhood is that typical one of wooden houses of the old Japanese merchants (machiya), which today house many souvenir and various traditional Japanese items shops, restaurants and tea-houses (ochaya). 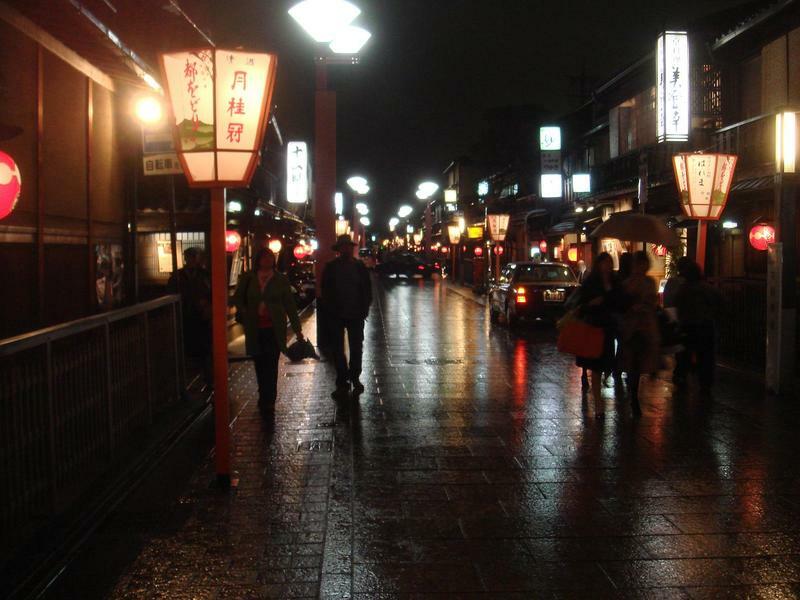 The most preserved area of the neighborhood is the one south of Shijo Avenue (a lively shopping street), especially Hanami-Koji Dori, a pedestrian street that reaches the Kenninji Temple and that evokes a great atmosphere of "old Japan". A small theater located on Hanami-Koji Dori, where are performed some shows lasting about 50 minutes, performed by real geishas,which introduce various traditional Japanese arts (the tea ceremony, ikebana, Kyomai dance, Bunraku and Kyogen theater, Koto music and Gagaku dance of the ancient imperial court). You can find further information at their website. It is an "invention" with tourist purposes, so don't have high expectations if you decide to go. The shows all in all nice but expensive. 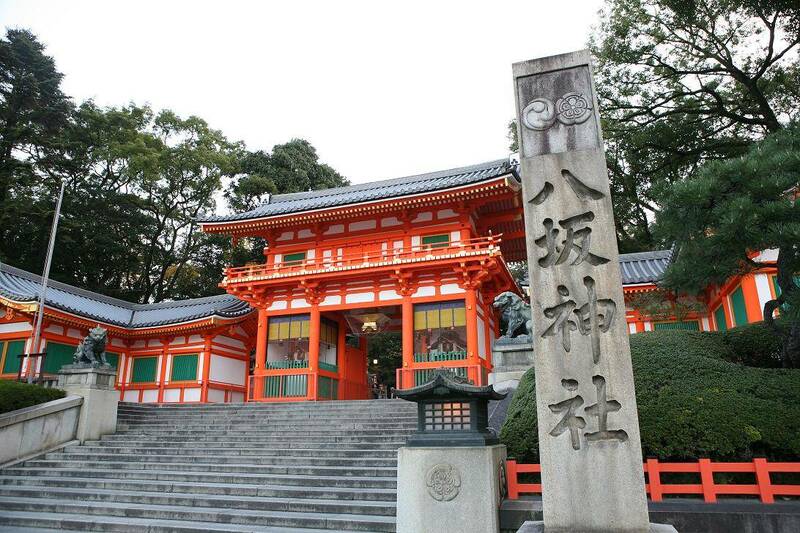 This ancient Shinto shrine, dating back to 656 and also called Gion Shrine, is one of the most important of the city, also because one of the most famous festivals in all of Japan is held here, the Gion Matsuri in july. Also this festival is very old, it dates back to year 869, when the sacred altars (mikoshi) paraded along the streets of the city to ward off a pestilence that had hit the city. The shrine is also very popular for the New Year celebrations. Although this temple is not among the most visited of the city, it is the oldest temple of the city, dating back to 1202. 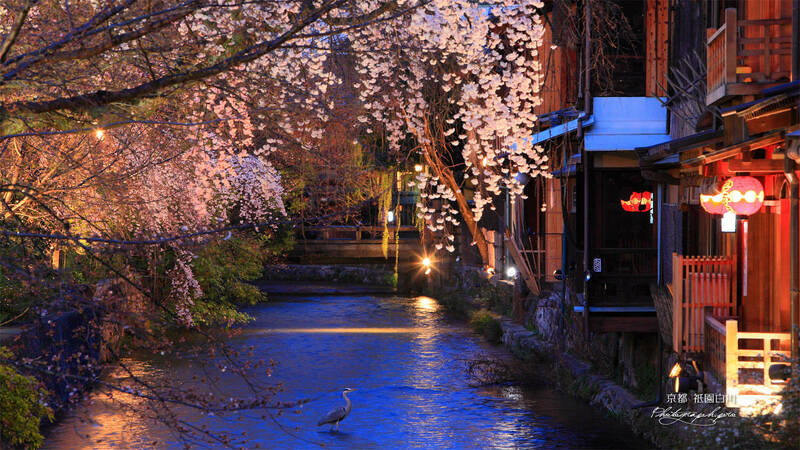 Shirakawa is the name given to a small area of Gion just north Shijo Avenue, along a small canal (Canal Shirakawa precisely). In this area too there are a lot of restaurants and tea-houses, and the presence of the canal, surrounded by many trees, including many willows, makes this area very quiet and charming. This area is not perfectly barycentric compared to the rest of the city, so it is not the best place to stay for the position, but public transportation works very well. It is not a place where you can find very cheap hotels, one of the cheapest is the APA Kyoto Gion business hotel right on the Shijo-Dori. 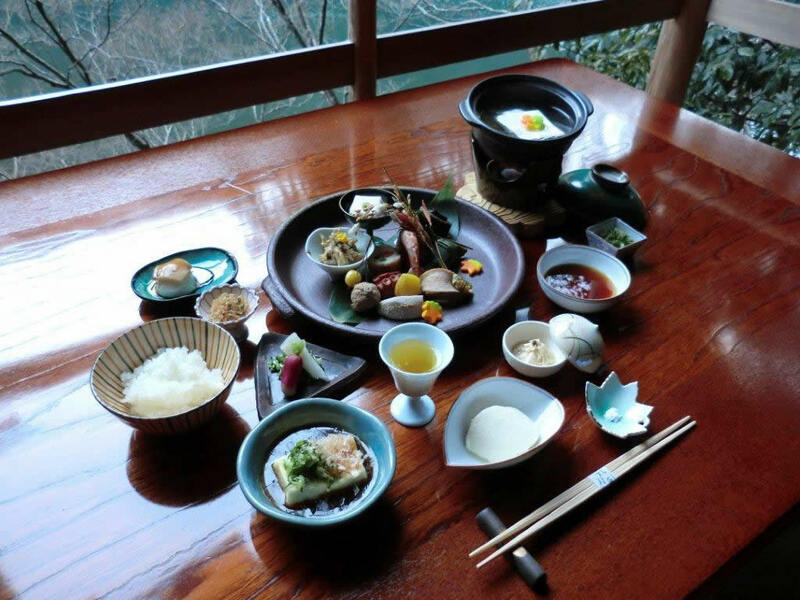 Along the streets of neighborhood there are many ryokan, but the prices are really high: for example the Yoshi-Ima, the Shinmonso, the Hatanaka ryokan. Gion is not a place where I recommend stopping to eat, it is a super-tourist district, and too tourist neighborhoods are the best places where to find food that is not worth what it costs, but I also think that eating sitting next to people who speak English, German, Italian, etc, is not one of the experiences that I personally prefer if I am in Japan. What is positive is that you won't have any problems, because most of the restaurants have English menus or anyway are accustomed to serve tourists. Be also careful of which place you choose, because this is also the area of some high-level restaurants, where you need tens of thousands of yen for a dinner. One of the most famous restaurants of the city where to to taste the eel (unagi) should be located along the Shijo Dori and is called Matsuno (marked on the map at the bottom). 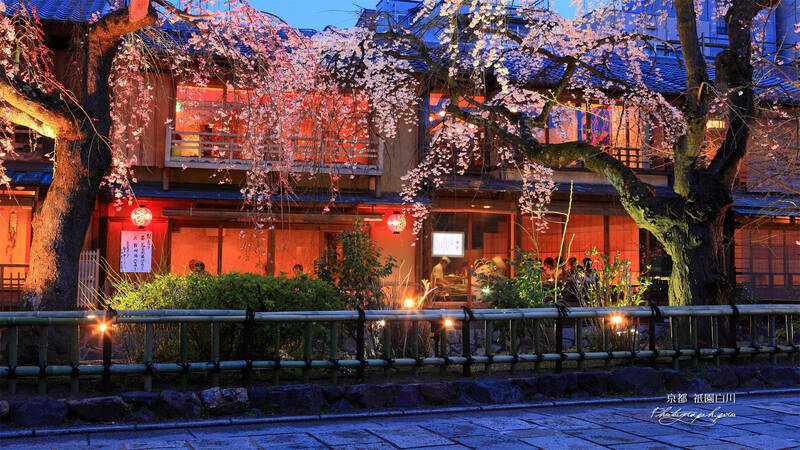 As regards the kaiseki cuisine, one of the most famous restaurants and also one of the most foreign-friendly (this is the English website) is Kyoto Gion Nanba, but you need at least 10,000 yen per person for dinner (but this applies more or less for all restaurants serving kaiseki). The nearest station to the heart of the neighborhood is Gion-Shijo station, served by the Keihan Main Line. Alternatively, another quite close station is Kawaramachi station (Hankyu Railways), served by the Kyoto line. If you come from Kyoto station, taking a bus is the cheapest alternative (220 YEN), and probably the fastest too, you can take the number 100 or the numero 206 that stops just in front of the Yasaka Shrine, a short walk from Hanami-Koji Dori.